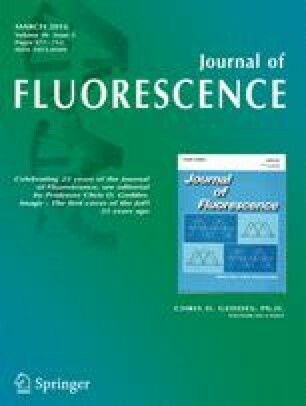 Human insulin was fluorescently labelled with fluorescein isothiocyanate (FITC) and the conjugate species produced were identified using high performance liquid chromatography and electrospray mass spectroscopy. Mono-labelled FITC-insulin conjugate (A1 or B1) was successfully produced using human insulin at short reaction times (up to 5 h) however the product always contained some unlabelled native human insulin. As the reaction time was increased over 45 h, no unlabelled native human insulin was present and more di-labelled FITC-insulin conjugate (A1B1) was produced than mono-labelled conjugate with the appearance of tri-labelled conjugate (A1B1B29) after 20 h reaction time. The quantities switch from mono-labelled to di-labelled FITC-insulin conjugate between reaction times 9 and 20 h. In the presence of phenol or m-cresol, there appears to be a 10 % decrease in the amount of mono-labelled conjugate and an increase in di-labelled conjugate produced at lower reaction times. Clinically used insulin analogues present in commercially available preparations were successfully fluorescently labelled for future biomedical applications. We thank EPSRC National Mass Spectrometry Facility, Swansea University for their help with FITC-insulin analysis. D Jacob would like to acknowledge the research studentship provided by De Montfort University.